I love to provide information about styles of clothing, accesories, beautiful jewelry or new household products for indoor or outside use. I have traveled to almost every state in the United States, and by far one of the best experiences I have had is vacationing in California to see the giant Red Wood trees. 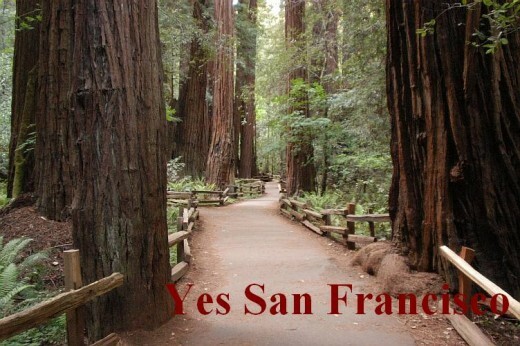 The first time I saw the redwoods was when I was visiting San Francisco. We visited Muir Woods, which is a very beautiful park full of red wood trees, and it also has a lot of tourists. I was immediately humbled by the height and the structure of the gorgeous redwoods, as they are the largest and tallest trees on the earth. I thought the trees were fascinating, and I purchased some literature to learn more about them. 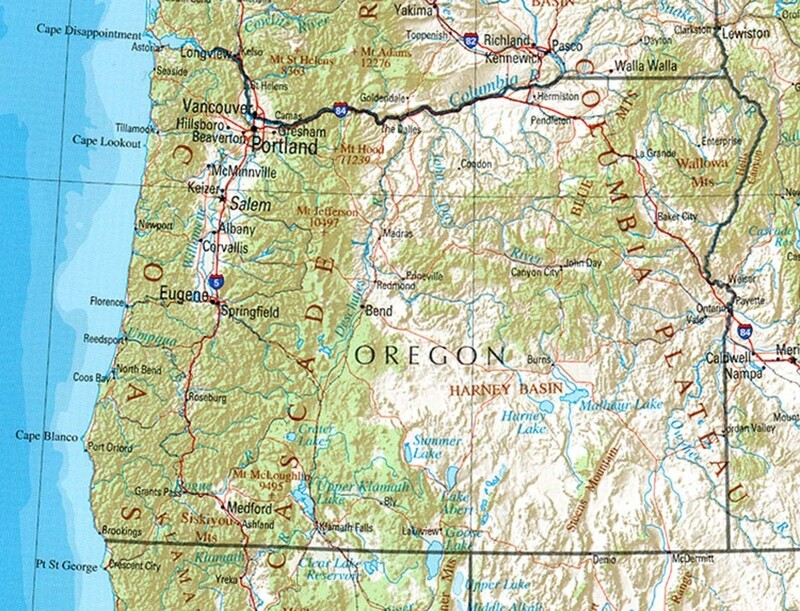 A few years later I went to Portland and traveled down the Oregon and California coast near Shasta Mountain. There are numerous redwood forests with some Sequoia trees also, which gave me another opportunity to walk through the trees and enjoy their beauty. This time, however, I looked at the trees more closely as I had taken the time to learn much more about them. I studied the way the trees survived fire, disease and insects. 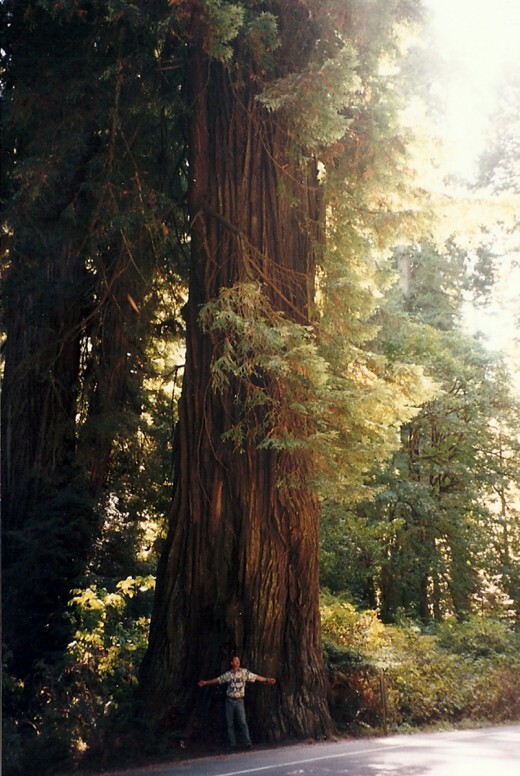 Redwoods are thought to have grown across the entire globe in the days of the dinosaurs. 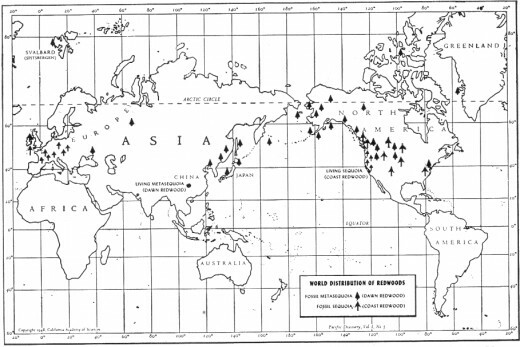 There are still more areas in the world where redwoods grow then I realized, which you can see on the map below. The Sequoia trees have a greater diameter, therefore more bulk, but the Coastal Redwoods grow tall all along a narrow strip of the coastline of the North West United States. Another variety of Redwood is called the Sierra Redwood and they grow in narrow valleys in the Sierra Mountains. The Dawn Redwood is the rarest and can be found in a single valley located in China. 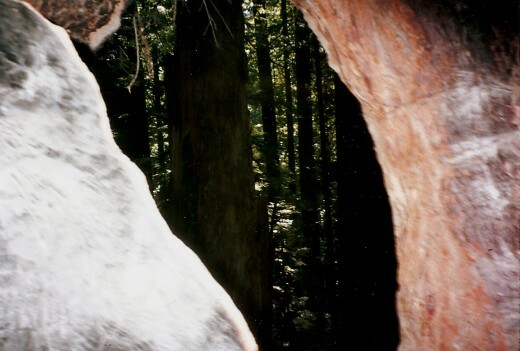 Today there are 85,000 acres of old-growth redwood forest remains. Redwood trees typically live from 500 to 700 years, but they can live up to 2000 years, which is astounding to me. What is truly unique about their long lifespan is the many protections that they naturally have, such as the bark that can be one foot thick. This makes them impervious to fire, diseases, fungus and insects. There is no insect that can kill a redwood tree. The bark itself is unique because it contains both tannin and a sap that is mostly water, which gives them tremendous fire resistance. Redwoods are found in a specific type of climate, which has moderate summer temperatures and lots of precipitation, either as rain or fog. This explains why we find them near the coast of California and Oregon, but not right on the water because they do not tolerate the salt spray. Another unique characteristic that I saw was a live redwood that had fallen, yet it had continued to grow with its limbs pointed up turning into trees. This is one reason some of the groups of trees are so dense. Surprisingly, the root system is shallow for a tree of this height. 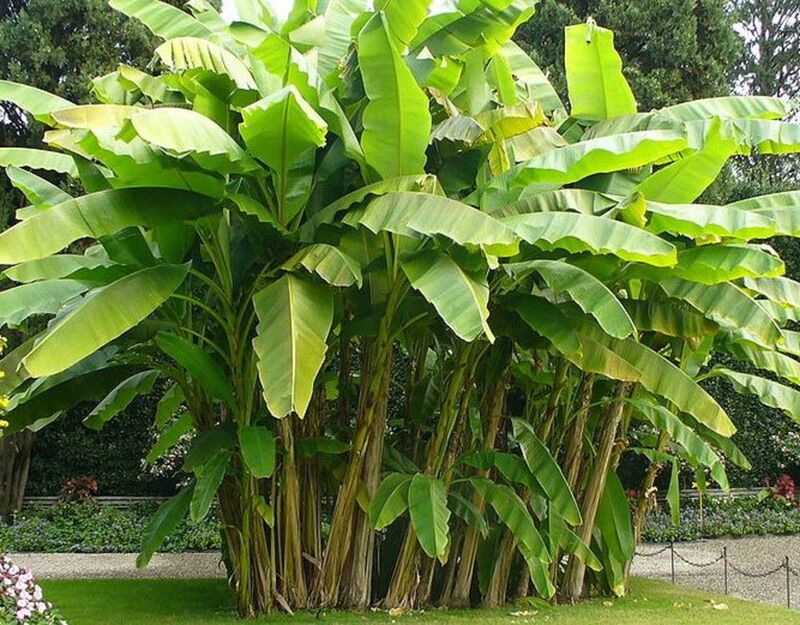 They have no taproot, and the roots reach no deeper than 6 to 12 feet with a 1” diameter. One of the ways the trees have remained upright for hundreds of years is because they grow close together and they can sometimes be several feet thick. A key to their survival is the regenerative capabilities of the redwood involving the burl. The burl is made up of dormant redwood stems covered in bark, which grows when a redwood is cut, damaged, injured or diseased. The lumpy outgrowth from the tree trunk usually located at the base will have saplings sprouting from these burls. These saplings will grow and be genetically identical to the original tree. 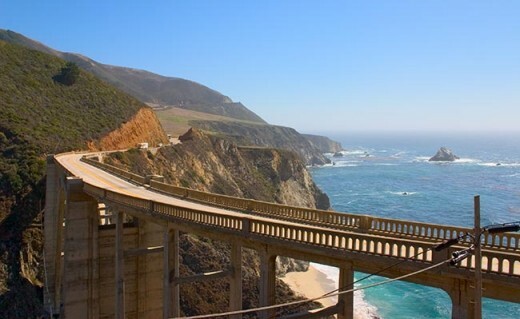 The next stop on our trip was Big Sur and as I had always heard it is one of the most beautiful beaches. It is one of the most beautiful beaches I have ever seen. The green hills seem to roll down into the beautiful blue Pacific Ocean, and it is a gorgeous site. In the vicinity of route A1A there are other redwood forests. I really enjoyed this redwood forest visit even more because there weren't many people around. You look up and cannot even see the top of these trees, as they are 300’ to 350’ tall, and they weigh upwards of 500 tons. They grow close together and have huge trunks with thick bark. It was very quiet, with just a slight breeze, and I felt like I had taken a step into another dimension, as the beauty was overwhelming. I could stand inside of a huge tree cavity and the tree was still alive which was amazing. The local residents are working on a restoration project to maintain these woods as fires have been a big problem in recent years. There are many organizations that are working hard to save the redwoods. One of the better-known agencies is Save the Redwood League, which was founded in 1918. On their website they state that after 150 years of logging and real estate development, approximately 5% of the original 2,000,000 acre coastal redwood forest remains. They have protected more than 189,000 acres and have developed 63 redwood parks and reserves for people to enjoy. Of course, they take donations right on their website. 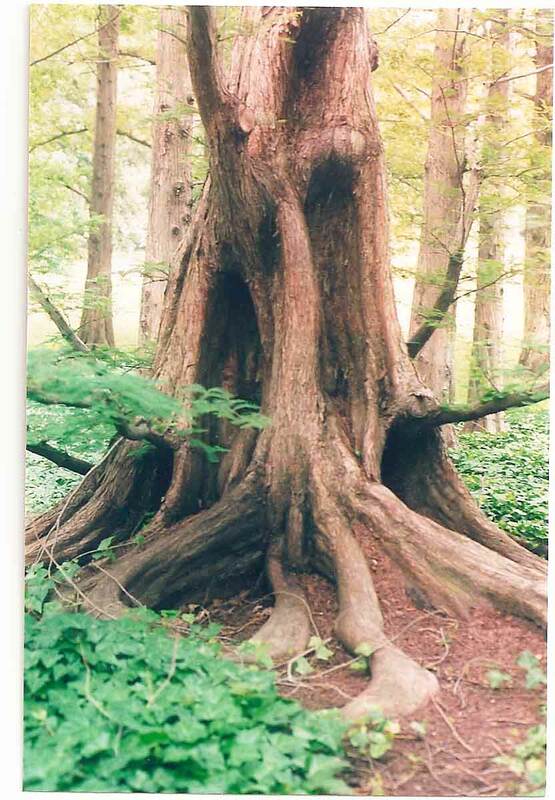 There are several other foundations also that are working to save the redwoods. My hope is that they will be successful in their goals. 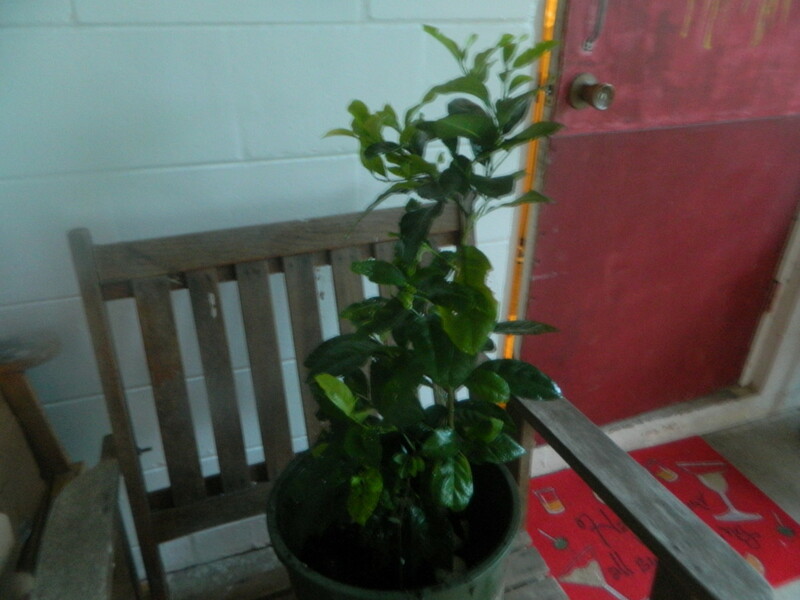 I believe there are other types of wood that can be used, which can be replanted and will grow much more quickly. The redwood and sequoia are such treasures to waste for someones fancy coffee table. Thank you for posting. Redwoods do seem difficult to impossible to forget. When I first learned about the redwoods I learned there was one that people drive cars through. 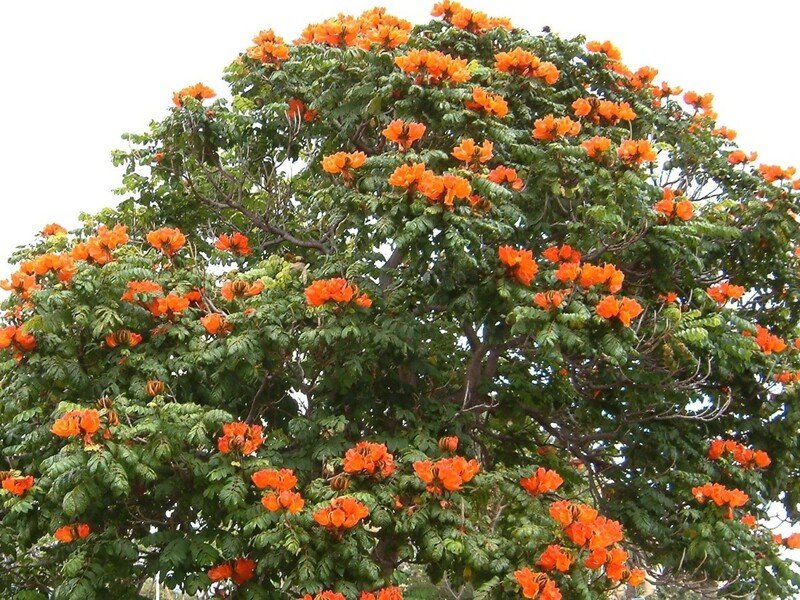 Hi Robert, I wrote this article some time ago, but I will never forget those awesome trees. Thank you for your comments. Great pictures and article. They have to be amazing to see. I was impressed when I drove past some tall pines on I-80 so the redwoods have to be an incredible site. Thanks for posting. natures47friend, I'm glad you enjoyed this hub. I have never seen Kauri Yuri tree but would love to. I appreciate your comments and I will look for your first hub. Best of luck on hub pages. I loved this hub. That is amazing that you have been to nearly all the states. I have never been to the US at all....lol. Loggers will go to any length to chop down trees,with no concern that the tree has lived for so many years. In NZ this happened with the Kauri tree and being a very slow growing native it could have been completely gone if the odd reserve had not been developed. Of course, the greatest Kauri live on and are in Northland. I have taken my daughter to see them. It really is a humbling experience to be at the base of a being so immense and tall. I am about to publish my first hub seem as I have time on my hands these days. I am at awe at the way hubbers write and would like to be able to write like that one day. Have to start somewhere.......right? Would you be able to comment on my hub when it happens? I am playing around with layout and photos. Voted your hub up and beautiful....because it is! Support Med, I know anything made from redwood is beautiful and the wood lasts forever but I still think they need to be protected. Thanks for your comment. Hello, They truly are and I hope you get to visit some day. Thanks for your comments. Cassidella, I'm glad you enjoyed the hub and I appreciate your comments. Enjoyed your exploration through the Redwoods and Sequoias. What a marvelous experience that must have been! This hub has interesting and beautiful content! They must be magnificient and it must an unforgetful experience. Darsky, I'm glad you enjoyed the hub and I so appreciate your comments. Love and Peace Darsky. Dallas, Thanks so much for your comments. fuchsia, I'm glad you enjoyed this hub and I appreciate your comments. 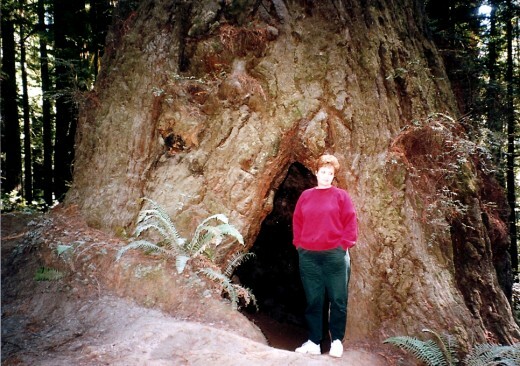 Susan, I enjoyed writing this hub so much because it brought back memories of when I saw the redwoods. Thank you for your comments. drbj, That's exactly how I felt when I stood next to them. I appreciate your comments. Peggy, I felt the same as you did standing next to these magnificent trees. Thank you so much for your comments. It is amazing to see the redwood and sequoia trees in person. They are so tall and so massive that everything in comparison to them seems dwarfed. They are like living cathedrals in my opinion. This gets a beautiful and up rating from me. The Sequoia trees and the Redwoods are so large and stately and magnificent in person that one feels very insignificant. Thanks for catching that feeling in your hub, Pamela. 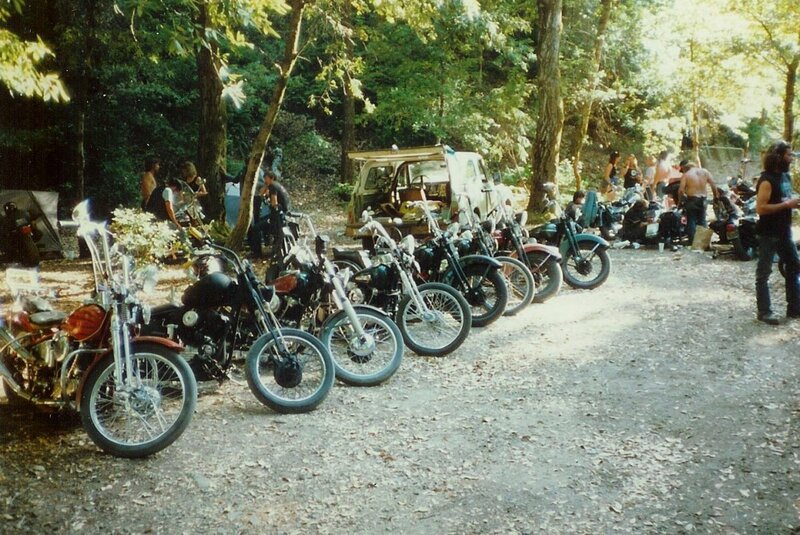 Your hub brought back some great memories for me of when I drove through California and saw the Redwoods. I wish I would have been able to buy one of the coffee tables they sold along the way. Great page and beautiful pictures. Thanks for sharing! leahlefler, Yes, they are amazing. Thanks for your comment. Steph Harris, I'm glad you enjoyed the hub and I appreciate your comments. Wonderful Hub Pamela, I live in the UK so have only seen these beautiful trees in film, I am jealous because I love trees so thank you for all of the wonderful photographs and film in this hub. The Sequoias are amazing - I miss that area of California very much. My son recently camped there with his grandparents (Kings Canyon). Pamela, I'm sure you will enjoy that trip thoroughly. Thanks for your comment. LeisureLife, I know you will love them and I appreciate your comment. I can't wait to visit there ! Someday I will go see these great trees for myself. They look magnificent. JJ(Lady Tenaz) It's great that you had the pleasure of camping in the area. Thanks for sharing your comments. Bob, Hope you make it there some day. Thanks for your comment. K9Kedystrokes, I'm glad you enjoyed the hub. Thank you so much for your offer of help. I am recovering from my surgery and the pins come out Monday. Thanks for asking and your comments. apStumpo, Lucky you! Enjoy the area and thanks for your comment. Pop, It has that effect of leaving your with a good memory. I appreciate your comments. tritrain, I hope you get that visit. Thanks for your comment. Acer, Yes they are a national treasure. Thanks for your comments. Will, I will love to see them again also. I appreciate your comments. I've seen some of them several times, but I never grow tired of it. General Sherman is amazing. I'd love to see the big trees some day. Beautiful Hub! Excellent hub. I have been to the Redwood Forest and I will never forget it. Voted up and awesome. Wow, this was a truly wonderful article! Thank you for the information. I just moved to the redwood area and I am now excited to visit! Great writing and great information! I love the Redwood forest Pam! Beautiful pictures here. I like that you share a map capsule for those who need directions to those big beautiful Sequoia trees, majestic to say the least. I hope you are back on the mend, happy to assist you with anything Hub related if you need it. Good luck in the contest; this is a good entry. I would love to visit these sites. I enjoyed that hub. There is also the Big Trees National Park over by Murphy's California and over by Yosemite as well. We just went camping up there this past Summer and it was a blast!